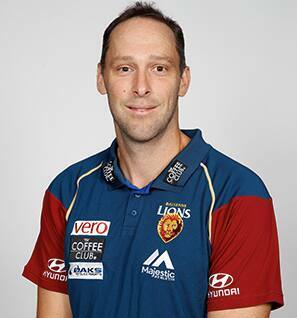 Mitch Hahn returned home to Queensland for the first time in 14 years when he accepted the role of Development Coach at the Brisbane Lions in October 2013. Hahn had earlier spent 12 seasons playing at the Western Bulldogs, the last year of which he started working as the forwards coach for their VFL affiliate, Williamstown. After announcing his retirement at the end of 2011, he joined Collingwood as a Development Coach and spent two seasons at the overseeing the Magpies’ offence (2012) and defence (2013). Hahn spent his first season in Brisbane working closely with the younger players as a Development Coach, before being reassigned as Defensive Skills & AFL Backline Coach at the end of 2014. Under new Senior Coach Chris Fagan it was announced Hahn would be the Club’s NEAFL Coach in 2017.